Nearly five million people call Sydney home and when you combine the beauty of the city with the number of things to see and do, it’s not hard to understand why. When you next visit the coastal city, make sure you get the best out of your trip by visiting some of these places. Sydney Harbour is a natural playground for locals and tourists alike, where you can enjoy sailing, swimming, kayaking, diving and spectacular walks around the foreshore. The harbour is a busy place and there is never any shortage of water taxis, ferries or thrill-filled speedboats. Visitors can take a leisurely cruise around the waters or take a trip out to Manly, Watsons Bay or Taronga Park Zoo. Taronga Park Zoo is one of the most beautiful zoos in the world with the magnificent Sydney Harbour setting the backdrop for this 21-hectare site. Here you can find more than 2,600 animals, shops, cafes, wildlife shows and the Ski Safari cable car. Taking a stroll doesn’t cost a thing and as far as walks go, it doesn’t get much better than this. 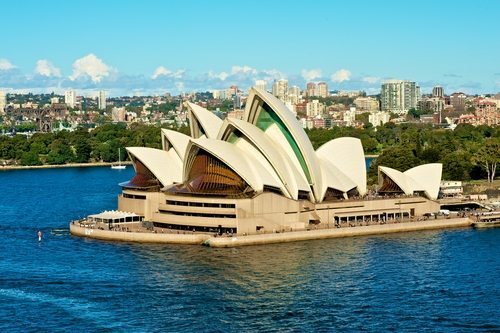 Start off by checking out one of the world’s most recognisable buildings before making your way up the steps into the breathtakingly beautiful Royal Botanic Gardens. The walkway will take you right along the edge of the harbour and is a perfect way to escape the hustle and bustle of the CBD. Another beautiful walk along stunning coastline is the Manly to Spit Bridge walk, a 9.1km track past Sydney’s northern beaches. Manly itself has lots to offer, with great restaurants, shops and the Manly Sea Life Sanctuary. While The Rocks is nestled on the edge of the CBD, the pace is much slower and its charm is alluring. The Rocks is packed full of boutique stores and high-quality restaurants, plus every Saturday and Sunday you will find The Rocks market along the cobblestone laneways. While here, you can also check out the early settlement history in The Rocks Museum. For an unforgettable day trip out of the city, hop on a train west and head for the Blue Mountains. Despite being just one hour away, the Blue Mountains is one of the most beautiful mountain regions in the world. Go for a bushwalk, ride the Scenic Railway or for those feeling a little more adventurous, try abseiling down the rockface of a mountain.